We’ve gone from hi-fi to Wi-Fi. Yep, as soon as the cutting edge was having a wired world, we went wireless. This may drive status-quo librarians insane. For the outreach crew, though, it is awesome. 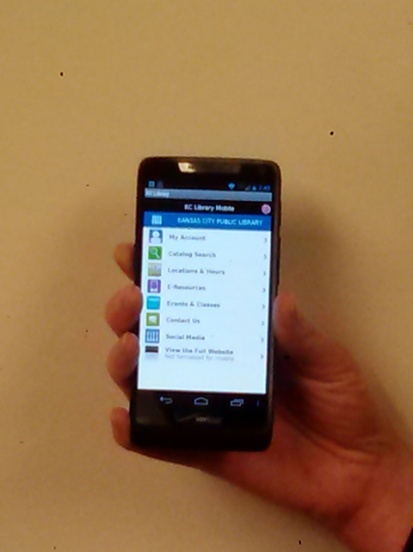 The more mobile that our tools are, the more we can take them to those we serve. Another bonus: not having to tote so much stuff saves our employers from paying future insurance premiums due to chiropractor visits. I work with youth. These aren’t your parents’ library services. They aren’t even those from when I was growing up (the ‘80s and ‘90s). When I was a young teen, I volunteered at my local library (the physical building) one summer. 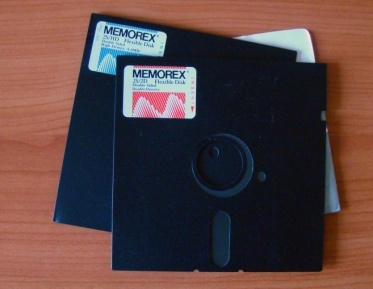 My job was to load floppy disks (the kind that really were floppy) based on what patrons chose to play. They selected out of a three-ring binder. This was not long after they digitized the catalog. We could search by subject (s=), title (t=), author (a=), and the grand improvement over card catalogs, keyword (k=). Can you hear today’s teens’ eyes rolling? According to a 2013 Neilson Study, U.S. households with teens are getting tablets and smartphones faster than any other part of the population. [i] Like libraries everywhere, mine has been working very hard to remain current. Catalog access: What do we have? My Account: View checked out items, renew, and place holds. Events: If you actually come to the physical library, what can you do at the there? Blogs: If you’re reading this on a smart-device, please say so in the comments. How cool would that be! Plus, there is freegal, an app where patrons can use their library card numbers and PINs to download five songs per week. They keep these indefinitely. The quality is crisp. Plus, they aren’t breaking copyright law to access them. Okay, great. How does this apply to outreach? How doesn’t it! We promote the fact that libraries are more than buildings. Taking our show on the road is becoming easier and easier– if we can keep up with new technology. There are a bevy of articles and webinars, but I often find that just playing with new devices can really help with becoming comfortable using them. Plus, we can show teens what we know. Being able to seamlessly float between digital platforms is not the same as deciphering what information is valid. It doesn’t equal being able to use it. If we can meet them where they are, teens are more likely to get on board and follow suit. Then, they are more likely to be library users for life. Anna Francesca Garcia earned her Master of Library and Information Sciences Degree from the University of North Texas and has worked for nine years in public libraries in Nevada and Missouri. 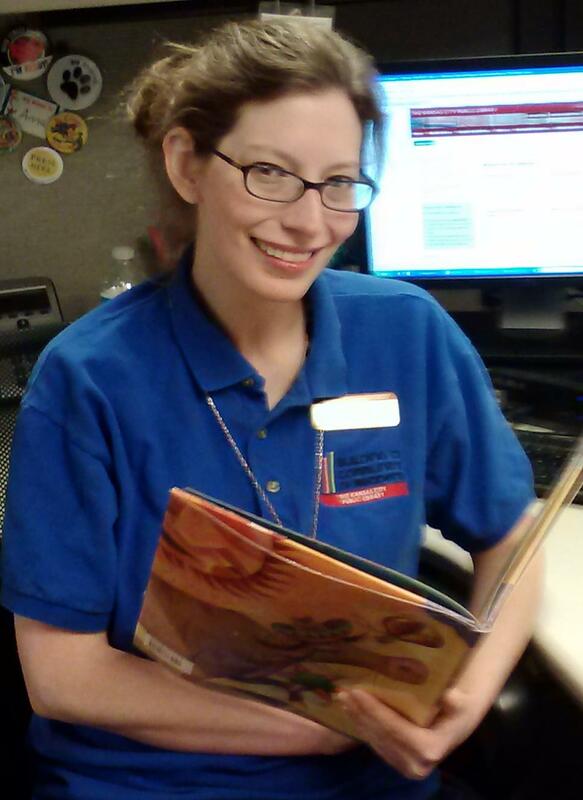 Currently, Anna Francesca is the Education Librarian for the Kansas City Public Library. She doesn’t think that technology will ever replace print books, but she does believe that they can coexist. Anna Francesca enjoys using both. She also gets a kick out of telling her six-and-a-half year old daughter that Mama is older than the Internet. [i] Pham, Alex. “How Teens Fuel Future Digital Consumption.” Billboard 125.17 (2013): 6. Middle Search Plus. Web. 22 Jan. 2014.